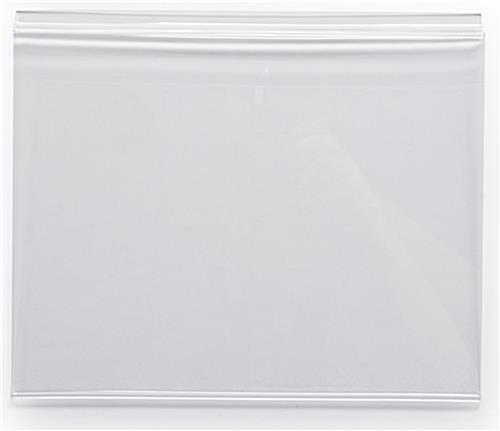 These Picture Frames Are Easily Affixed To Slot Panel Fixtures! These Picture Frames Are Great Marketing Tools! 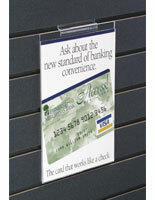 Clear plexiglass allows your poster to stand out! Designed for a full sheet of paper straight from your printer! 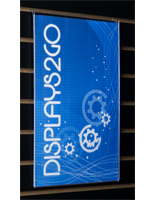 These picture frames or graphic frames are effective as sign displayers in retail fixtures. 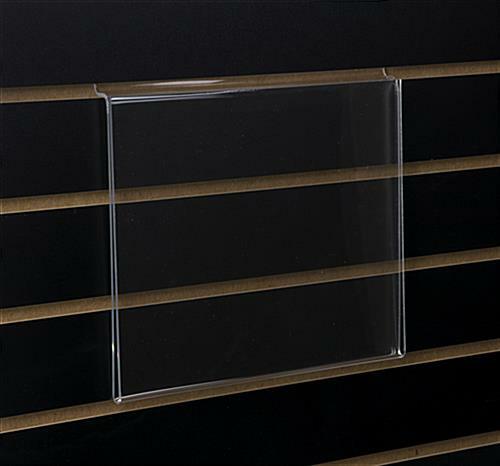 Graphic picture frames, likewise recognized as slot panel fixtures, can be relocated in minutes. The viable hook merely slides in and out! The frame's front panel is shorter than the back panel to facilitate updating signs. 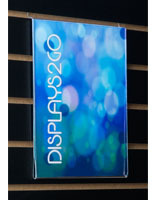 These slotwall graphic picture frames are an economical marketing instrument. Outstanding Value!! These graphic picture frames are the ideal platforms for your media content. Add a punch of color to your display! 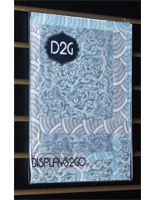 These slotwall accessories, graphic frames make attractive poster holders. They draw awareness to your slat wall kiosk. The slot hooks fit most slotwall fixtures without adhesives, glue, or instruments. These picture frames, graphic holders are an efficient communication alternative. Grab the eye of possible clients by advertising product contents or new services. 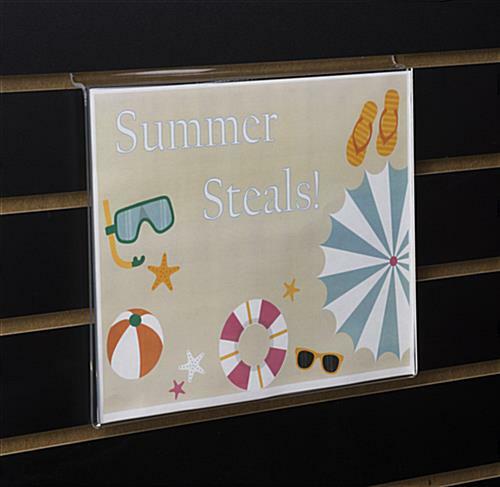 These image holders are extremely easy to use - merely print a landscape 11" x 8-1/2" sheet to produce your own sign!